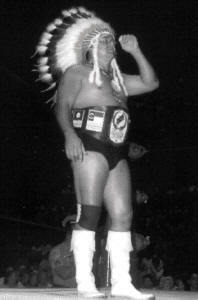 On June 11, 1977 in the Greensboro Coliseum, the unceremonious ending of Wahoo McDaniel’s most dominating championship run in the Mid-Atlantic area was also the springboard that catapulted Greg Valentine as a bonafide singles star in Jim Crockett Promotions. But Valentine’s ascension to the Mid-Atlantic Heavyweight Championship could not have happened without an assist from McDaniel’s arch-rival, “Nature Boy” Ric Flair. While at one moment Wahoo rationalized the loss as one that had to inevitably happen, but as the bitterness set in the great Indian Chief spewed some astounding venom towards Greg Valentine, and shockingly JOHNNY Valentine, while explaining the devastating defeat to the fans. This incident set up the rest of 1977 as an enduring saga of Wahoo versus Greg Valentine, one of the greatest feuds in Mid-Atlantic Championship Wrestling history. Wahoo, true to his word would regain the Mid-Atlantic Title in August, but then would lose it and 2,000 silver dollars to Greg on TV in September when Valentine broke Wahoo’s leg. After the Chief recovered in November, the inevitable chase to get revenge on Valentine and regain the Mid-Atlantic belt carried over into early April of 1978 and was successful for McDaniel, then both men went their separate wrestling ways. 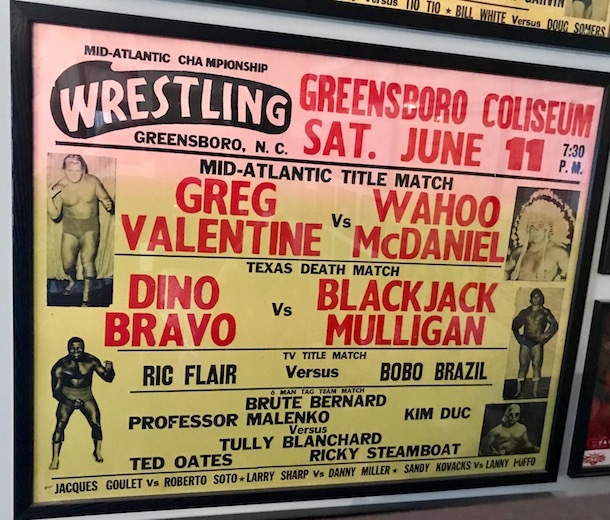 While the monumental singles program between Wahoo McDaniel and Greg Valentine may have been born in the Greensboro Coliseum on that Saturday night in June, it really took hold on TV at the WRAL TV studios the following Wednesday night. In the space of a few minutes in a television interview, Wahoo’s mindset on Ric Flair and the Valentines’ went from contrived reticence to real anger and shockingly brutal honesty. And that change in tone was the catalyst for perhaps the greatest Mid-Atlantic Championship Wrestling feud ever!